The last roundup I did on watercolour painting tutorials was so popular that I decided to make another one! I’ve recently found more amazing watercolouring tutorials on the internetz and here are some of the best. For the links to these watercolour painting tutorials, see below. Alright! Got your supplies and a clean desk to work on? Let’s do some watercolour painting tutorials! 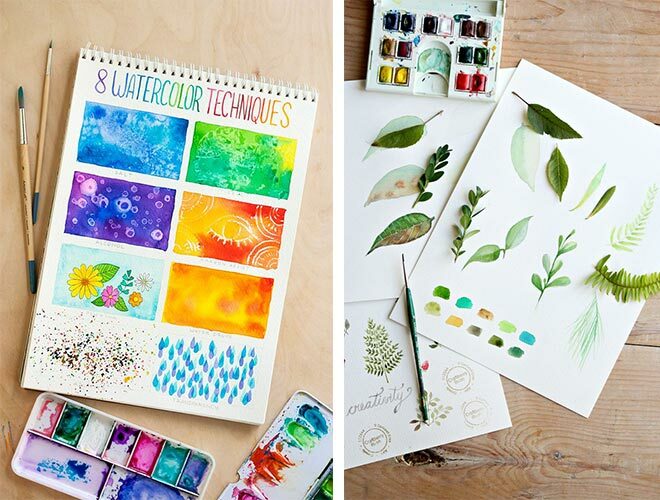 Right: how to paint a basic leaf with watercolors by ehow. 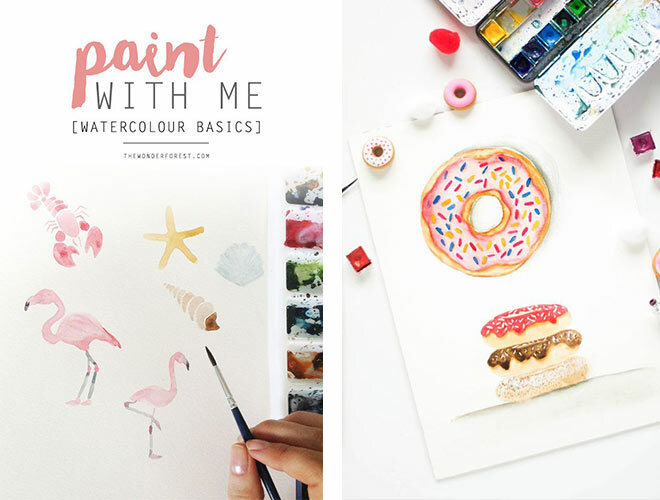 Right: watercolor doughnuts by Inkstruck Studio. The classes above come from Skillshare. As a member of Skillshare I can highly recommend it! You can start your free month on Skillshare and get unlimited access to these class and hundreds of other watercolour painting classes! Will you be trying out any of these tutorials? Let me know in the comments! 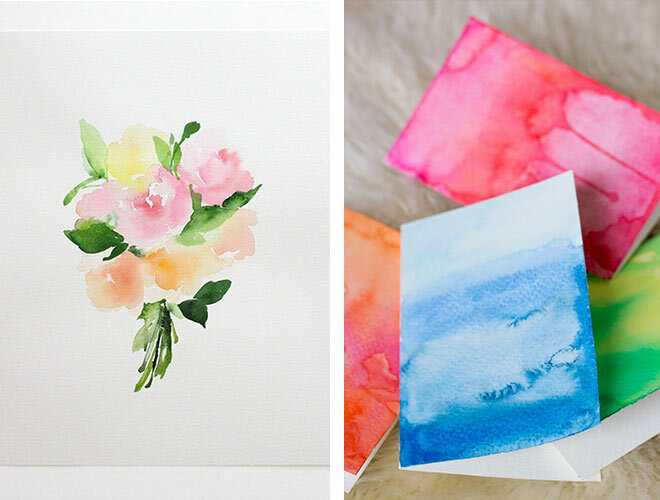 Don’t have time to do these watercolour tutorials now? Pin the image below to Pinterest to save it for later! 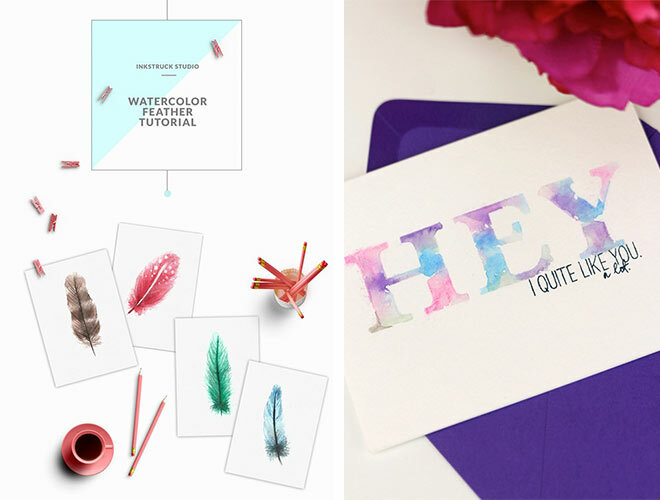 Love watercolour painting? Follow my watercolour painting tutorials board on Pinterest to discover more! These are breathtakingly gorgeous Carmia! So glad you include Zakkiya’s tutorials, she’s amazing! Aren’t they just? Love Zakkiya’s tutorials. Thanks for commenting, Marianne! Thank you my dear for including one of my tutorials. You know I adore your work and your lovely website and I couldn’t have asked for anything better than to be included in one of your posts.Have a lovely day!